NW3 Interiors caught a moment with the director of Goldschmidt & Howland Philip Green to ask his views on Hampstead lifestyle and luxury properties. Carly Madhvani & Philip Green attend the Norwood Property Lunch together. Q: Through your work, you have been inside some of London’s most beautiful and prestigious homes. What design elements always stand out for you when you first assess a property? A: We get to see so many styles of homes and love period homes. 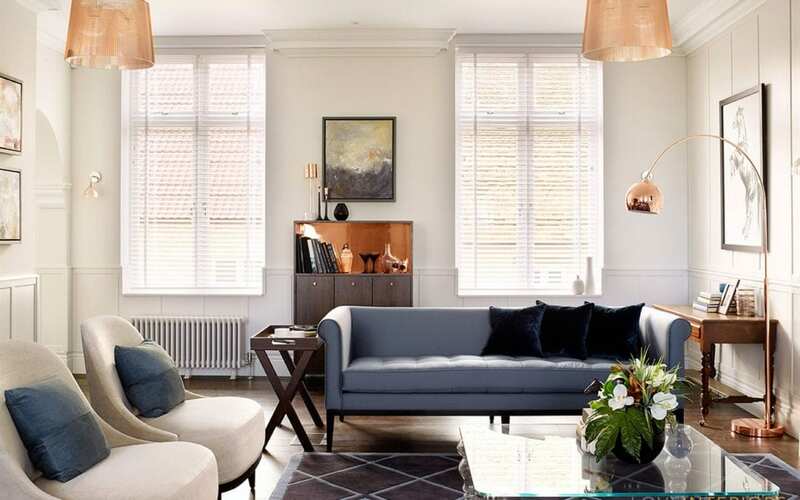 We love the use of modern furniture and art mixed with traditional period features. Kitchens play a huge part of a family home and love clean lined modern design. Q: The Goldschmidt & Howland Instagram account is a pleasure to follow – you always seem to have particularly lovely homes there. Do you have professional stylists working with you, and do you have your own furniture and props that you use? A: Instagram is proving a great success for Goldschmidt and Howland and we are getting a great response. Our marketing includes professional photography and we have different photographer’s with different styles so our pictures are very varied. We do recommend stylists to homes where they appear soulless. It’s amazing what furniture and art can do to change the feeling of the home. Q: Are there any homes that have really stood out for you over the years? A: We get to see Gothic, Georgian, Regency, Victorian, Edwardian and modern homes. We sell some of the finest homes in London and we love rare secluded homes. What we love most is homes that from the exterior look very plain but when you go inside you are taken to a level of luxury that you weren’t expecting. We have just begun marketing a magnificent home in Kenwood Highgate with period and modern features and a wonderful 200ft rear garden with a children private adventure playground. Amazing !! Q: What is so special about North London for you? How would you spend a perfect 24 hours in North London? A: I love North London and have dogs so often walk on Hampstead heath, Kenwood and Highgate Woods this makes you realize how special the area is. Country walks but 20 minutes from central London. Dogs groomed at Hair of the dog in Highgate, visit to Camden market for wonderful eclectic ideas, Dinner at Villa Bianca in Hampstead. Q: To sum up can you share any secrets from your “Little black book” of interiors shopping in London? View available properties to buy in Hampstead here. Love to live in homes like these? Ask Carly Madhvani for a design consultation here.